Welcome to our third episode on Strategy, if you are a new listener welcome to Inspiring Greatness where we interview amazing entrepreneurs or share business tips on how to help you grow your business and increase profits. If you have not listened to last few episodes you may want to go back now and listen to episode 171 & 172 on this strategy segment. Part 1 was Simon Sinek’s golden circle understanding your WHY and core purpose. Part two identifying was operational activities can you do 3 to 5 activities that set you apart from the competition - These are process that your company uses to deliver your products or services. What makes your company different? Today is all about how your company can surpass the competition! I will highlight the difference between a SWOT & SWT analysis (Strengths, weakness, opportunities and Threats vs. 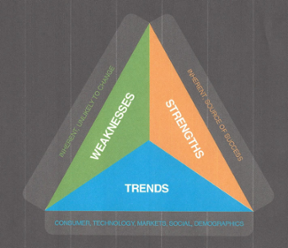 Strengths, Weaknesses and Trends. Then explain and provide a free worksheet so you can identify your business Strengths, Weaknesses and Trends known as (SWT for your business). Let’s start with SWOT. Every year I conducts an annual planning and strategy meeting with my clients, we ask the leadership teams to assess what the top 3-5 Strengths, Weaknesses, Opportunities and Threats for your company are at this point in time. 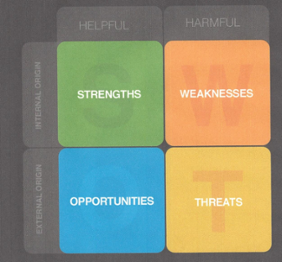 We have a visual SWOT matrix on our show notes and the left side are attributes that come from within the company or from external influence; and on the top of the matrix, attributes that are helpful to the company’s growth and those that can be harmful. The resulting intersection of each attribute creates the unique set of Strengths, Weaknesses, Opportunities and Threats for a company’s foundation. A weakness is internal and usually unlikely to change. That’s because a weakness is often the opposite of your strengths. An example might be your business is not good at documenting systems. This is something you can change if you really want to. Therefore, not having documented systems is an opportunity not a threat. A weakness is more likely to be the opposite of great customer service or pricing. If you charge for your product or service a weakness might be not having low pricing. While SWOT analysis comes from within the middle management team – those executing the day-to-day operations of the business – the Strengths, Weaknesses, Trends (SWT) analysis is to be conducted by the senior leadership team and connects to “Strategic Thinking” and planning for the business. This should be at least a recurring benchmark in every annual strategy and planning session. The SWT has both similarities and yet is distinctive from the SWOT. The SWT is conducted by the senior leadership team as they build the foundation for the One-Page Plan. If you’ve not completed this in the past it may require some adjustment and mental preparation. The reality is that trends may be more important than the traditional Strengths, Weaknesses, Opportunities and Threats. 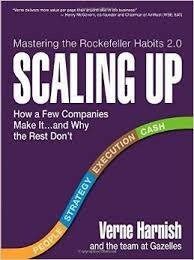 Witness the demise of many heralded company’s like Kodak, Blockbuster, Kmart, Sears, etc., Read Think Your Business Couldn't End Up Like Kodak? Think Again if you still are skeptic. The key to this exercise is recognizing that trends are critical to be aware of. A great leader must be able to anticipate trends. If you are to have control or demonstrate any leadership of your business forecasting/prediction is a demand you absolutely need to satisfy. 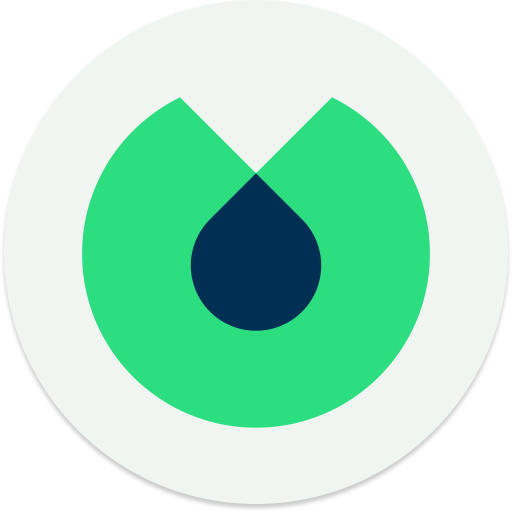 Let me provide you with an example used from the workshop I did for the Entrepreneurs Organization Accelerator participants. What trends will affect your business? Which will influence your business positively and which could possibly hinder your growth? Have you completed a SWT for your business? If you answered no, I suggest you book time this week with your team to work on your business. We have free SWT worksheet on our show notes page for you to download. If you are stuck, I would be happy to help. You can book in a free 30 minute call with Shelley Rogers. Be sure to listen to part 4 next week where we highlight two techniques that will help your company become 10 times better than your competition. We will look at what’s your economic denominator that best drives your economic engine – Profit per X?? ?